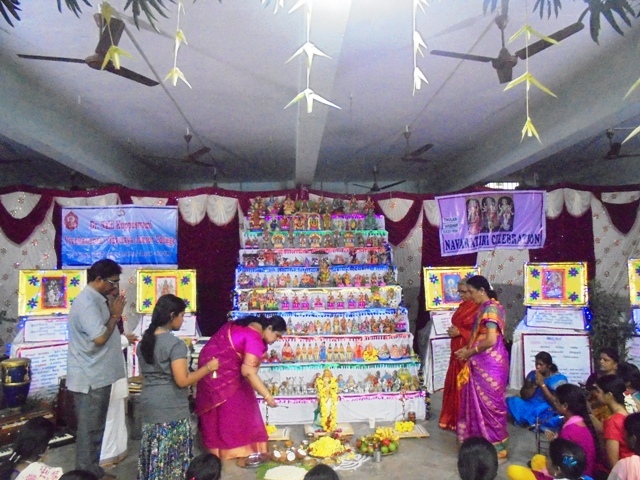 From 21.09.2017 to 29.09.2017, Navarathri was celebrated in a grand manner. 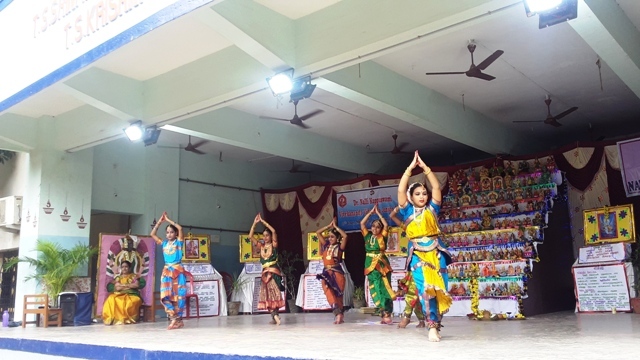 On this occasion, Kanya Vandanam was performed. This was shot by zee Tamil TV and was telecast for three days. 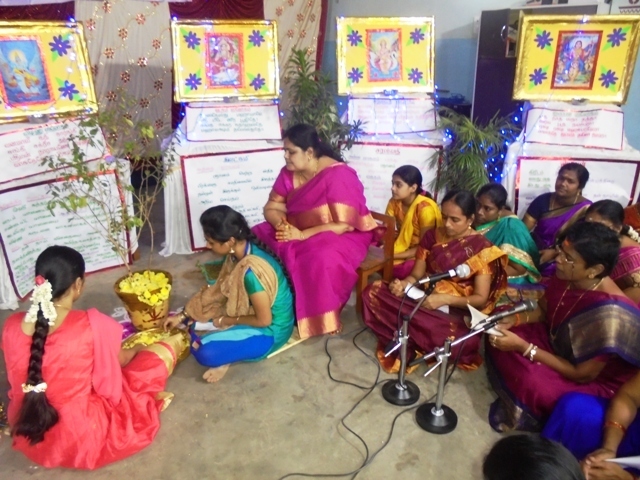 IV to XII std students performed pooja daily for nine days. On 29.09.2017, Saraswathi pooja was performed. 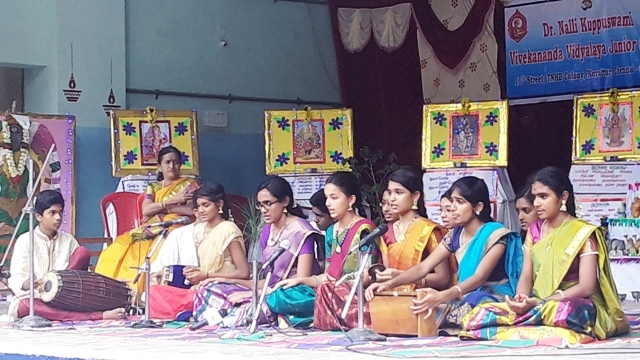 Students and teachers rendered bhajan. 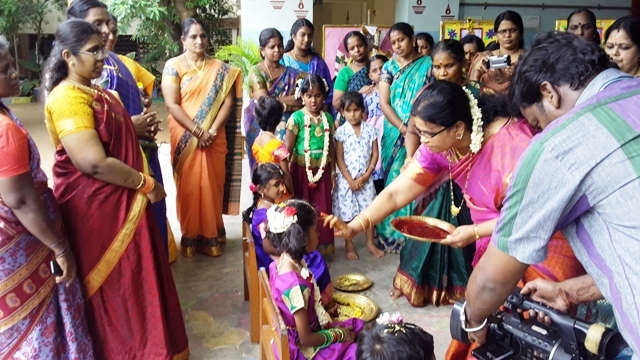 On the same day Thulasi Vandanam was performed.